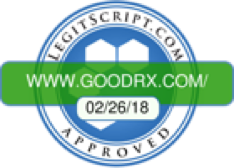 Get a GoodRx Prescription Discount Card for free! *All savings numbers and percentages shown are based on the discount from the retail price which is the price those without insurance coverage typically pay. About 15% of GoodRx users save at least 80%. Send me the GoodRx Health Savings Newsletter.